If you have kids over the age of about 4 and you have not yet discovered Rainbow Loom, I highly recommend getting yourself… I mean THEM some. Even the boys in my house get into it. I won’t bother doing any tutorials because there is thousands out there already, check out youtube for videos on just about anything you can think of. 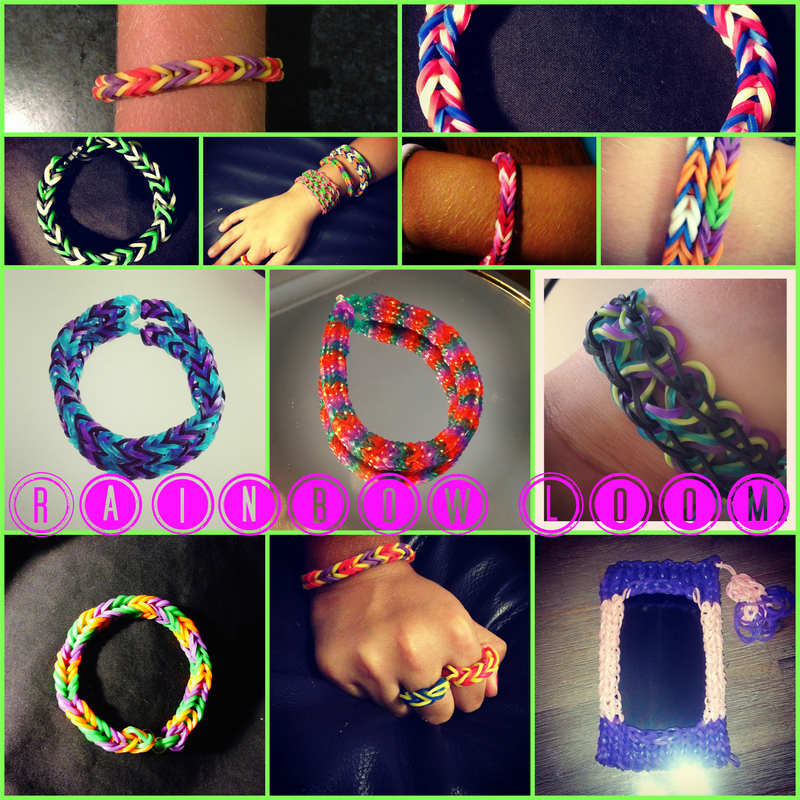 We just make bracelets mainly, but you can make charms, pencil grips, animals, flowers, heaps of different things. It will keep the kids entertained for hours. You can pick up small bags of bands from cheap shops, or bags of 600 bands from spotlight or ebay for around $5. Each bracelet requires 80 to 100 bands, so while 600 might sound like a lot, you’ll go through them quickly once you get addicted! Here is a few of our creations.